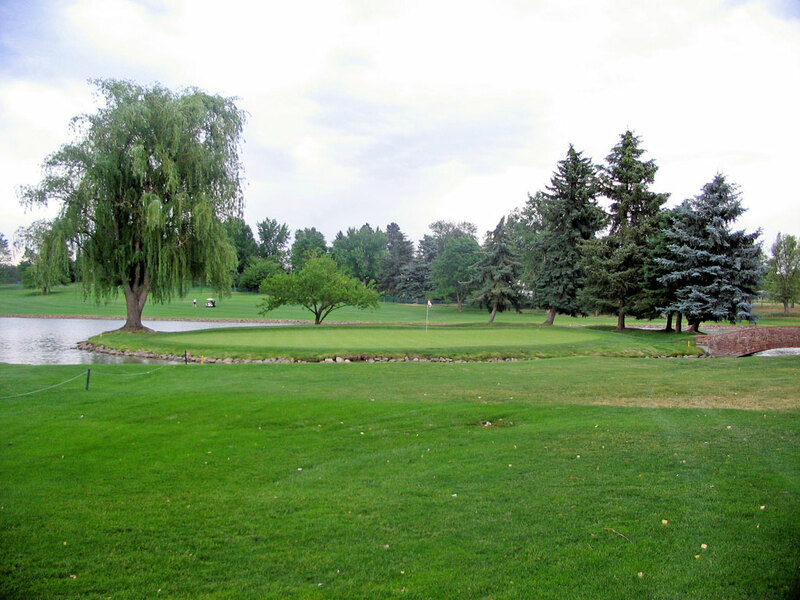 Course Website: Official Website - Visit Cherry Hills Country Club's official website by clicking on the link provided. Accolades: Ranked 8th in Colorado on Golf Course Gurus Best in State list. What to Expect: Cherry Hills Country Club is the most storied course in the Rocky Mountain west acting as the venue for the U.S. Open three times (1938, 1960, 1978), the 1941 and 1985 PGA Championships, as well as a U.S. Amateur, Women's U.S. Open, and a Senior U.S. Open. The newly renovated clubhouse is impressive and even better equipped for handling major events than before. The rolling terrain and meandering creek located on the property are condusive elements to great golf course architecture and Cherry Hills delivers on many levels. The opening hole is best known for being the par four that Arnold Palmer drove on the final day of the 1960 U.S. Open which lead to a birdie and evetually a victory. The back nine is Cherry Hills' strength on the merits of the 12th, 14th, 16th, 17th, and 18th holes which features several hazards and classic shapes. Overall, Cherry Hills is a classicly designed parkland course that may not blow you away on your first visit but is the type of design that builds up throughout the round and finishes with a bang. Signature Hole: 18th Hole – 491 Yard Par 5 – Played as a par four in major championship events, this short par five is the most memorable hole on the course. Water runs up the left side while o.b. borders the right side of this hole that runs hard uphill during the later portion of the fairway. A pair of bunkers protect the front of the green with the bunker on the right being about three times larger. The green is mostly blind on the approach due to the elevated location of the putting surface which adds an element of excitement when you climb the fairway to find where your ball has landed. Whether it is during your round or while watching a major championship, this hole is sure to provide plenty of drama. Best Par 3: 12th Hole – 207 Yards – A timeless design that has been used on par 3s is to place the green behind a water hazard. Water brings excitement, fear, and beauty to a one-shotter and Cherry Hills’ 12th hole incorporates all of those elements. Beyond just the intimidating tee shot is the spine in the middle of the green that has been responsible for more three-putts than most golfers would like to admit. This hole is where the back nine begins its impressive run through some fantastic holes. 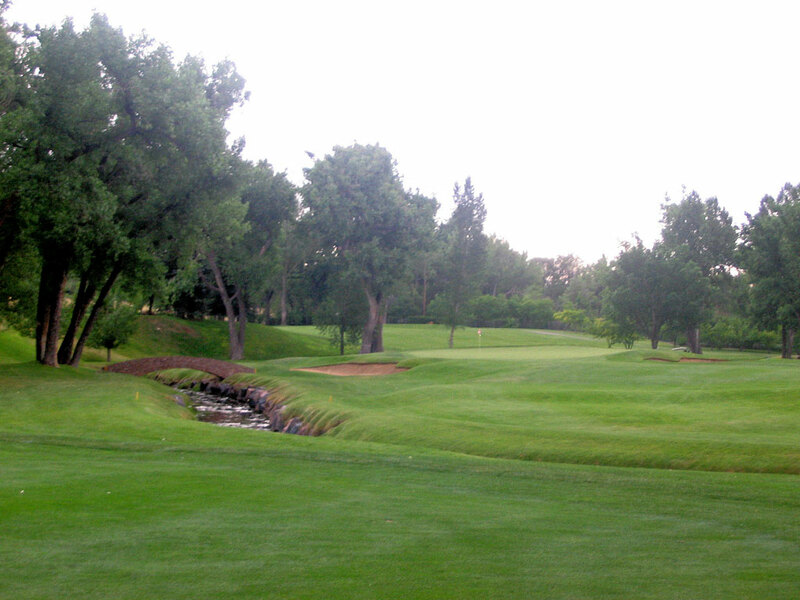 Best Par 4: 16th Hole – 433 Yards – One of Colorado’s finest holes, this two-shotter is a dogleg left with Little Dry Creek running along the left side of the green and then cutting diagonally across the fairway. The creek comes into play on the approach shot while a long bunker runs up to the front left corner of the putting surface and a green-length bunker rests along the right side. Staying up the right side on your drive will give you the best angle to avoid the trees, bunker, and creek protecting this green. It is a fantastic hole that is a formidable challenge late in the round. Best Par 5: 17th Hole – 555 Yards – Another drama creating hole is found down the stretch at Cherry Hills with this mid-length par five. Reachable in two with a big drive in the fairway, most players will still elect to layup due to the water hazard that surrounds this island green. Two sets of cross bunkers bisect the fairway and will need to be contended with during every shot made along the way. This hole became famous during the 1960 U.S. Open when Ben Hogan spun his third shot off the green and back into the water; a shot that woke Hogan up at night thinking about it. The legend never did get over that shot, one that he admitted was only two feet off his mark and that he would play the exact same way if given the opportunity again. Nothing is tougher on a golfer than hitting a great shot just the way you want, and getting a lousy result. Birdie Time: 3rd Hole – 328 Yard Par 4 – Amazingly it was the 1st hole rather than the shorter 3rd hole that Arnold Palmer drove the green during the final round of the 1960 U.S. Open a scored a birdie en route to a 65 and a stunning victory. But for the rest of us, carding a birdie at the 3rd hole may be an easier feat to accomplish since it plays about 70 yards shorter. A long cross bunker enters the fairway and causes havoc on players choosing to layup while a bunker several feet short of the green will try and catch tee shots from players trying to drive the green. Regardless of whether you go for the green or layup, this hole sets up well for snagging a birdie early in the round. Bogey Beware: 14th Hole – 480 Yard Par 4 – This is a long challenging hole with o.b. to the right and trees lining both sides of the fairway. The lengthy approach shot into the green will be faced with a creek on the left and bunker on the right of the putting surface. The back tee plays about 480 yards, but a championship tee has been installed which stretches the par four out to a whopping 522 yards; unreachable in two by some golfers. Taking bogey on this hole will put you in more company than those scoring par.